Celestial Chia Seeds Like You've Never Seen Them Before! Superstar Shot Of Chia Seed Power! Chia Seeds Socked to show the expanded cellular membrane with side lighting and against black. This image was actually harder to get right than it looks! 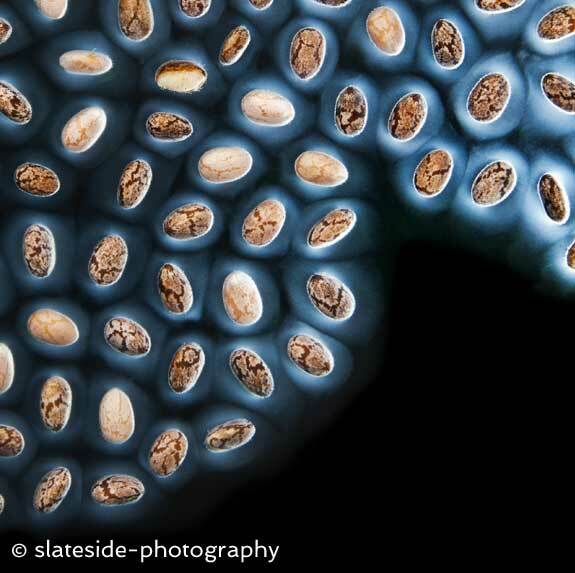 The seeds themselves are only one – two millimetres in length. And obviously to light these tiny items took some fiddling about, but I got what i was after.